Today, more and more employees and employers value culture fit. When a worker meshes with a company’s culture, they typically perform at a higher level than those that don’t fit in as well. Plus, the team member tends to be happier in their job, making their experience more positive for them as well. When you fit into a workplace’s culture, you typically feel more comfortable. The environment aligns with your personality and preferences, making the experience more enjoyable. In contrast, when you clash with a company’s culture, it isn’t pleasant. You may find yourself constantly battling against norms simply because the organization’s approach or priorities don’t connect with yours. When you fit into the culture, you increase your odds of being happy at work. This increases job satisfaction and productivity, both of which can make your time at the business more beneficial, both to your well-being and your career. Making culture a priority means you are actively considering it when you are exploring potential employers. Since it is part of your criteria, you are giving yourself permission to say “no” if an opportunity comes along at a company that isn’t the right fit. This means you could save time during your job search, as you won’t be submitting applications to roles at businesses when you know their culture isn’t a strong match. Similarly, it decreases the odds that you’ll accept a position even if the environment doesn’t feel right as you’ve already decided that culture fit is important to you. In contrast, if you accept a position even if there isn’t a strong culture fit, you are potentially trapping yourself in a job you won’t enjoy. Many professionals can’t afford to live without a steady paycheck, so you have to tolerate where you are and start over with your job search, leaving you stuck until you land something new. When you find a position with promise, take a moment to learn about the company to evaluate its culture. Head to the organization’s website and read the “About Us” page, check out their social media accounts to assess their priorities, and read recent news to find out about challenges or accomplishments. You can also read reviews left on sites like Glassdoor to see what employees have to say or reach out to members of your network to get their perspective. Ultimately, a little bit of research can help you decide if you could fit into the culture, allowing you to make smart decisions as you apply for new roles. Are You Ready to Find a Great Job? 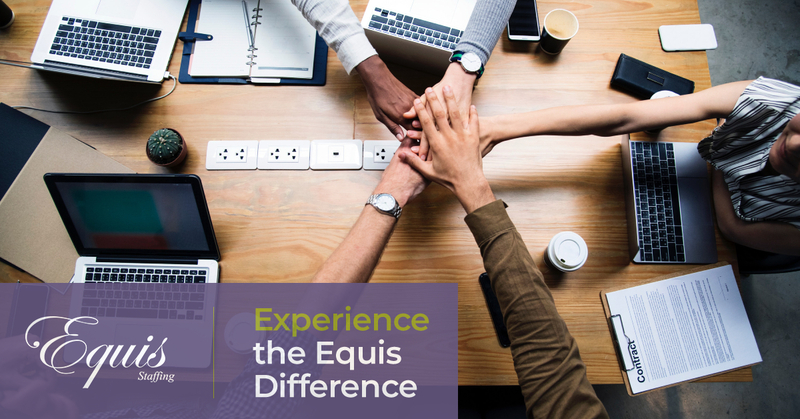 Contact Equis Staffing! If you would like to learn more about managing a job search, the team at Equis Staffing can help. Contact us with your questions today and see how our culture fit expertise can make finding the ideal employer easier than ever before.